Compliance Plus - About Us: Meet the Team. Uddhav, Michelle and Tylah. AML/CFT Experts. Uddhav brings to Compliance Plus an in-depth understanding of compliance built over the course of 14 years working for New Zealand regulators. Uddhav launched Compliance Plus after spending 3 and a half years helping the Financial Market Authority implement the Anti Money Laundering and Countering Financing of Terrorism Act. Once the law was in place, he saw the need in the market for practical, pragmatic assistance to help institutions meet their obligations under it in an efficient way. While at FMA, Uddhav played an important part in establishing the AML/CFT regime. He was FMA’s lead writer for most of the AML/CFT guidelines published jointly by the Financial Markets Authority, Department of Internal Affairs and the Reserve Bank of New Zealand. He also assisted in designing the templates and process that FMA used when it commenced its AML/CFT supervisory work. It is this understanding that he offers Compliance Plus clients. Prior to working at FMA he worked in strategic policy at ACC and as an investigative team at the Commerce Commission. Uddhav complemented this work by undertaking studies in transnational organised crime, counter-terrorism and intelligence while completing his Master of Strategic Studies at Victoria University. Uddhav’s in-depth knowledge of FMA’s expectations of reporting entities under the AML/CFT Act can help you ensure that your business meets its compliance obligations under the AML/CFT Act. Patrick is a highly experienced senior manager with executive experience as CFO governing business transformation, organisational performance, and has extensive professional experience leading regulatory compliance, and finance/corporate groups. He is a strategic and innovative compliance thinker and has led strategic projects enabling business transformation. 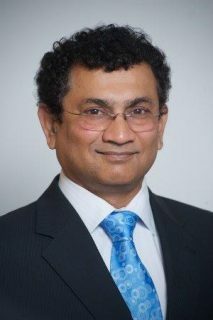 He has governance experience on key IR boards: business performance, strategy, programme, technical governance, tax disputes, rulings, AEOI and intel-led. Patrick is an open and engaging people leader with excellent relationship skills. He has worked with chief executives, boards, international & professional groups, ministers, and media to improve tax compliance in NZ. Patrick has a track record of delivering results, new initiatives, complex compliance programmes with courage and persistence, and successfully leading professionals through transformational change. Patrick has extensive large business and audit experience, expertise in fraud and digital forensics, and fronting media and presenting on compliance. 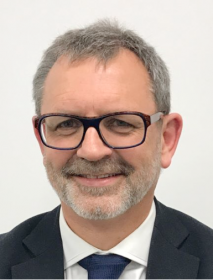 He has international experience with Australian, UK, and Canadian tax authorities in several areas and from OECD groups in audit, large business/ capacity building.